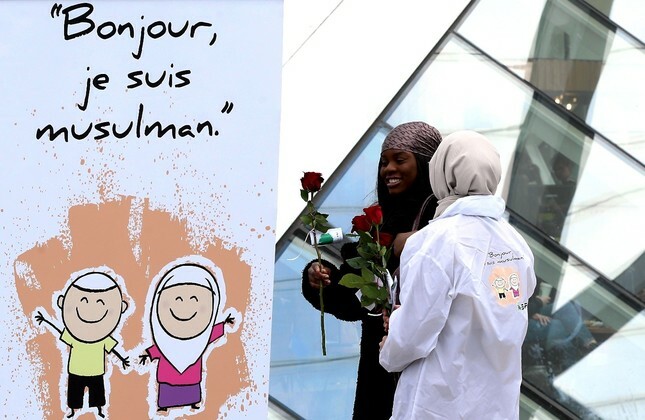 In Belgium alone, fifty young Muslims presented roses and information brochures to people in Belgium, April 13, 2019. Groups of Turkish youth took to the streets in 10 European countries on Saturday and handed out roses to passersby. In Belgium alone, over 50 Belgian Turks erected information tents in six cities for the "Hello, I'm a Muslim," or "Bonjour, je suis musulman" in French, initiative. To make people rethink their preconceived opinion of Muslims and their beliefs, the passersby were given flyers with basic information on Islam. Free hugs were also offered by both sides in a positive atmosphere that melted many prejudices. Last month, 14 members of the Conservative Party were suspended after making abusive anti-Muslim comments online. Senior figures and organizations have written to Theresa May demanding a full investigation and to address the issue of anti-Muslim tendencies within the party. The Labour Party has formally adopted a definition of anti-Muslim sentiments, arguing that it is vital in tackling the rise of far-right racism. A party spokesperson told media in March that its national executive committee had adopted the working definition produced by the all-party parliamentary group on British Muslims "to help tackle Islamophobia, build a common understanding of its causes and consequences, and express solidarity with Muslim communities."